Brand new, tags still attached. Osprey Kamber 32L backcountry touring backpack. $140 shipped US only, price is firm. OhJay Brand new, tags still attached. 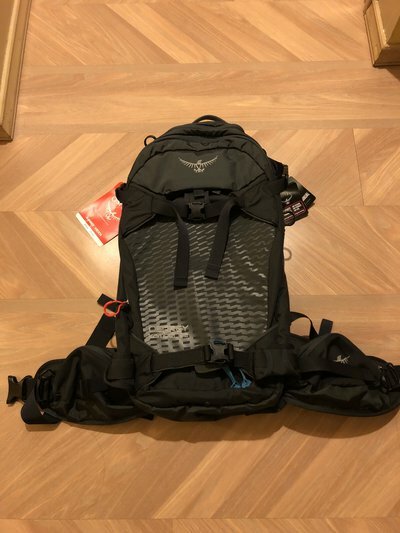 Osprey Kamber 32L backcountry touring backpack. Ok cool, a lot of they're packs come in different sizes (s/m/l) corresponding to torso length. In this case it should be either small/medium or medium/large. My bad, totally forgot about the torso size. I believe it’s a Large but I’ll double check later tonight.